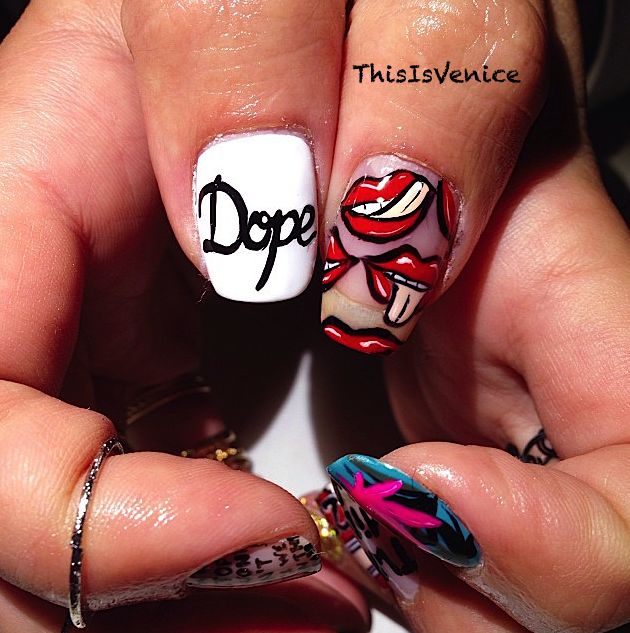 I just became thy biggest ,Miley Cyrus fan after LA artists’ –ThisIsVenice created these wavy claws. 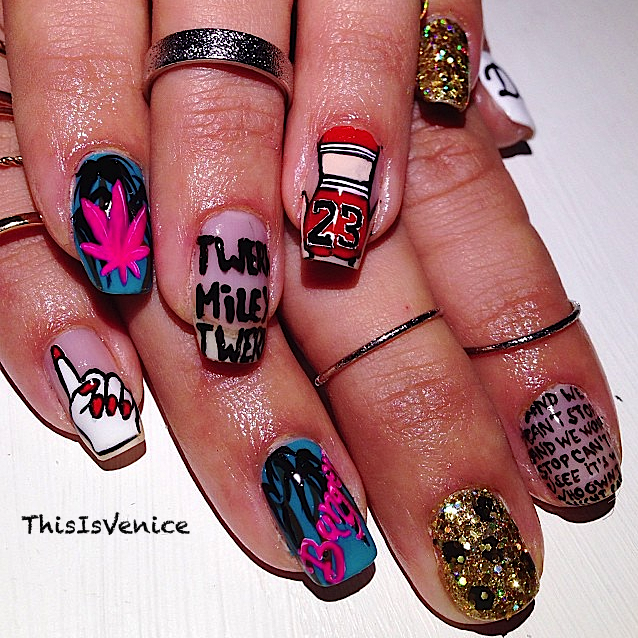 If you look closely at each finger nail, you can see a claw design for the entire evolution of the NEW, Miley!!! Ok, SOLD! Twerk, Miley Twerk’. ← Really: I hate nail art!